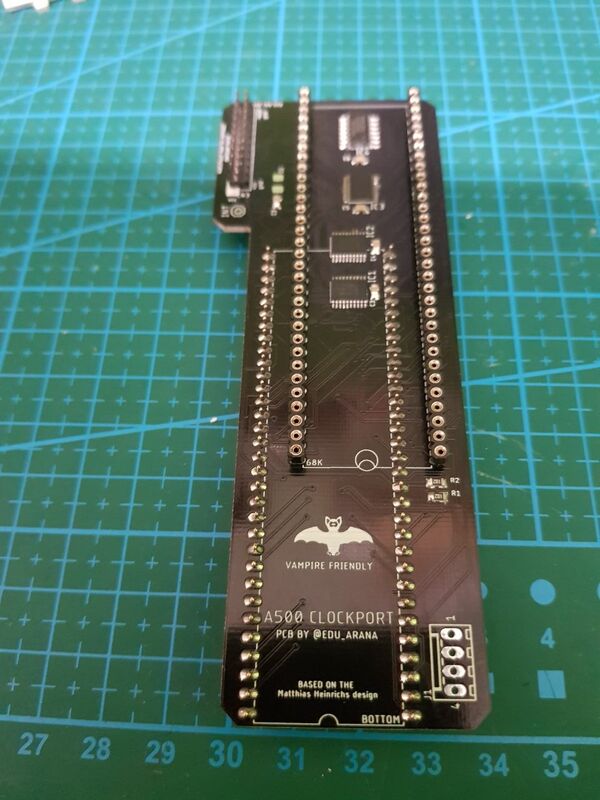 This board allows to have a clockport internally on a A500 to use with any accelerator available (like vampire 500 for example). 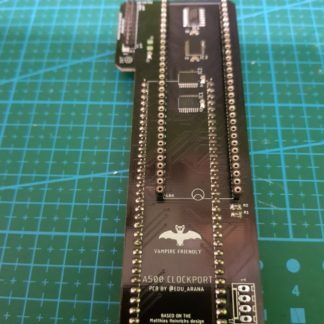 Also has been desined to relocate the cpu more to the back of the Amiga 500, so if we have any expansion like cf’s adapters or so, this will avoid hit the keyboard when you close the case. It also include an external power connector to get another power source in case of instability. 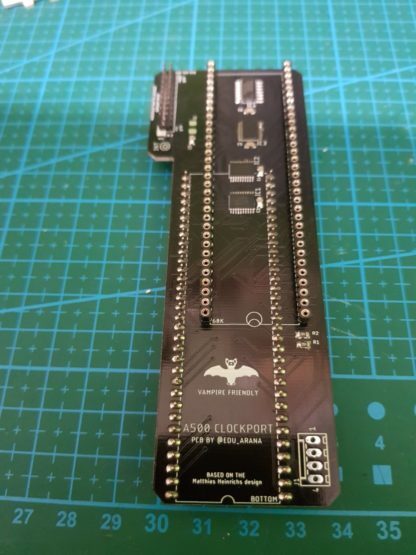 1-Remove the 68K, put this on the same location, connect your favorite 68k accelerator (vampire 500, TF530 or 68020tk). 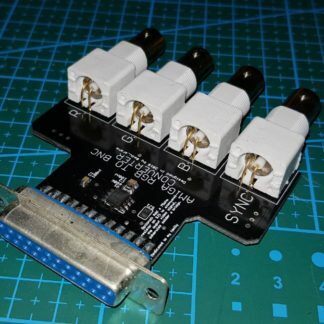 2-You need to connect INT6 signal from the motherboard to the clockport pcb. INT6 is available on the left edge connector (at bottom), PAULA or the EVEN CIA. So soldering skills required. This board has been tested with Commercial products likes Rroad and subway. 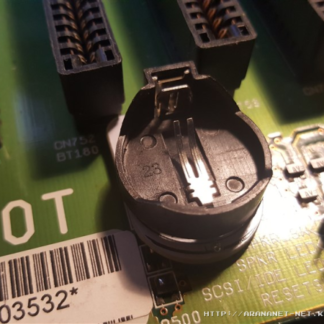 There is a mark on the clockport port to identify which orientation use for Rroad device. There is no orientation on the clockport port, only a mark as a reference. I take no responsability of any damage of your equipments if you connect the clockport device backwards or you connect the board displaced from the pins, the same as the accelerator. 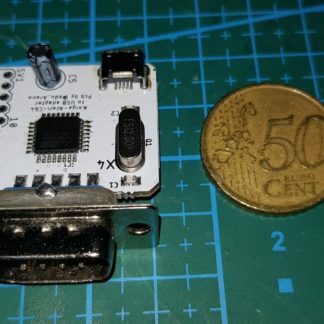 This design is based on the Aminet Clockport hack and also the Matthias Heinrichs design. 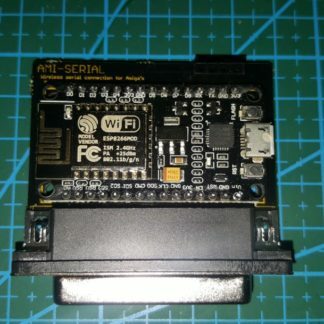 About pullup on INT6 used on some designs, this not always works OK on clockport devices, some of them takes longer to be detected by the software. Thats why direct connection to the INT6 signal is better.